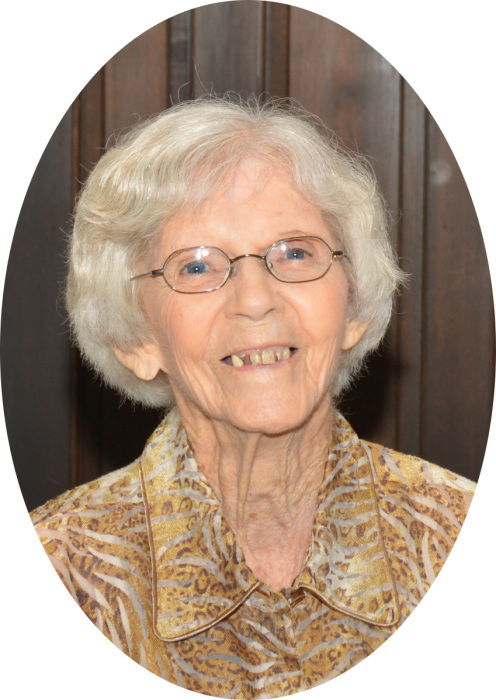 Freida Lee Feather (95) of Wayne City, IL passed away on Wednesday May 16, 2018 at her home. Freida was born July 4th, 1922 in Four Mile Township in Wayne County, IL to her parents Harvey Wood & Nettie (Keen) Wood. On March 17th 1949, she married LaVern Feather, who survives. Freida was a homemaker and a partner in many family-owned businesses in Wayne City, including Feather’s Garage, Feather’s Ag Service, Feather’s Farms, and Wayne City Transportation. She was also a member of the First United Methodist Church of Wayne City. Freida is survived by her husband LaVern Feather, 2 sons: Rick (wife Deloris) Shook and Brett Feather, 2 daughters: Teresa (husband Kent) Staggs and Gayle Feather, all of Wayne City, IL. 12 grandchildren, 20 great grandchildren, and 9 great great grandchildren also survive. She was preceded in death by both parents, 3 brothers, and 4 sisters. Visitation will be held from 5 pm until 8 pm on Sunday, May 20th, 2018 at the First United Methodist Church of Wayne City. Funeral services for Freida Lee Feather will be held at 10 am on Monday, May 21st, 2018 at the First United Methodist Church of Wayne City with Rev. Bud Storey officiating. Interment will follow at Hopewell Cemetery near Wayne City. Memorials may be made to the First United Methodist Church of Wayne City and will be accepted at the church, or at Young Funeral Home in Wayne City, which has been entrusted to provide the funeral arrangements.